Earlier this month, the Board of Zoning Adjustments approved Trammel Crow Company‘s proposal to demolish the closed Kraft Foods plant and develop a business park in its place. Located at Halcyon Drive and Washington Avenue, the 30.74-acre plant opened in 1949 and remained in operation until November 2015, when the Kraft Heinz Company announced it would be closing seven plants. Over the years, the plant roasted and packaged coffee for the Maxwell House, Yuban, and Gevalia brands, as well as packaged Jell-O and powdered drinks. The $70 million San Leandro Business Center is to include over 550,000 square feet of Class A industrial space in three buildings. Plans include flexible industrial spaces, appropriate for a diverse selection of tenants, including advanced manufacturing, food production, research & development, warehouse and distribution. The project will also include widening and improvements to Halcyon Drive. The Mural Company in San Francisco has been commissioned to create four large murals on the buildings, which will highlight the different seasons. The murals will be visible to drivers passing along Washington Avenue and Halcyon Drive, as well as along the BART tracks, where the 12-mile East Bay Greenway pedestrian and bike path is planned. Each building in the San Leandro Business Center is designed to accommodate up to three tenants, and the site has the potential to employ over 500 people. To date, no tenants have been selected for the project, though a food production company has shown interest in leasing two of the buildings. Demolition work could begin within the next several months, with new construction projected to begin in 2018. San Leandro continues to be an industrial asset in the East Bay with a strong business climate, easy highway, port, and airport access, and a good employment base. This is reflected in our very low industrial vacancy rates, which are consistently around 1%. 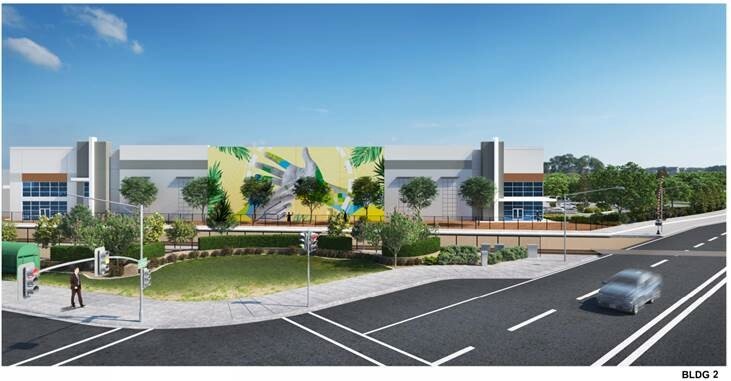 This project is the second multi-million dollar new industrial development approved in San Leandro in the past six months, following the approval of an approximately 300,000 square foot building along Marina at the former Georgia Pacific facilty. Currently, there is almost 1.5 million square feet of new or rehabbed industrial space recently completed or planned in San Leandro, representing over 150 million dollars of investment in the community. 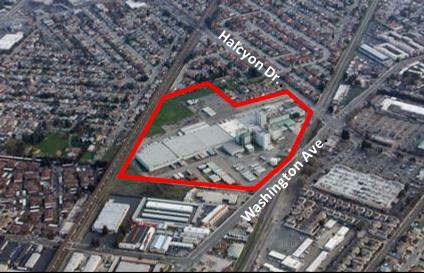 Learn more about this development and other industrial developments in San Leandro in this recent East Bay Times article, as as well as San Leandro Next’s 2017 development preview. How about fixing our pot holes and damaged streets. What good are huge complexes when one still has to drive there on crumbling roads? Just drive on Juana Ave. between Bancroft and Grand Ave. You either have to have an SUV or you hang on in a sedan car. Shame. Shame. We just released an update on our Street improvement program, go to page 7 of the City Manager’s Weekly Update for detailed information about street sealing and rehab. It was an interesting overview of the shared problem! I completely agree with your point of view. Is there anything we can do about the layers of dust coming from the demolition in my neighborhood? I have pictures of the amount of dust and dirt has taken over our neighborhood. We live in the new homes right next to the old Kraft site.